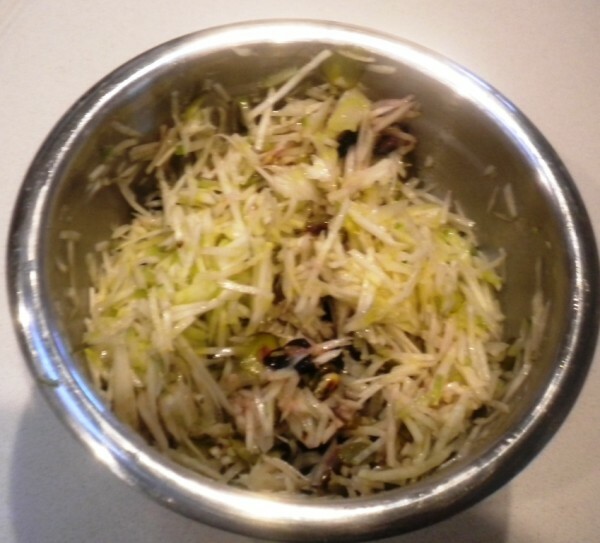 The Fennel bulb salad has been our quick and easy lo-carb “go to” salad for the past year. It takes less than 5 minutes to make, and uses only 7 ingredients. It is moderately low in carbohydrates, but that is a good thing for a salad – and it is surprisingly tasty. 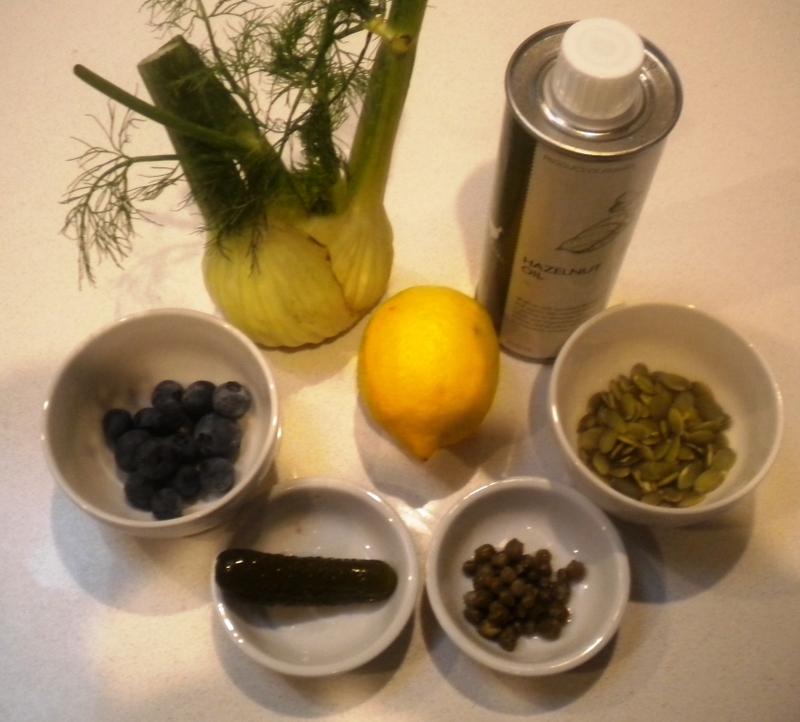 The fresh components – the Blueberries, Lemon and the Fennel bulb, last for weeks in the fridge and the salad once made up also stays fresher for longer than most leaf based salads. We have even, when desperate, used frozen blueberries, bottled Lemon Juice and a Fennel bulb that had been in the bottom of the fridge for a month – and it was a lot nicer than a garden salad would have been if made from month old lettuce. This salad has probably been the most significant contributor of fruit to our diet over the time we have been eating lo-carb – blueberries are great as they are low in sugar and full of anti-oxidants. The trick is to just eat a few – and we manage this by slicing them finely so they distribute throughout the salad. 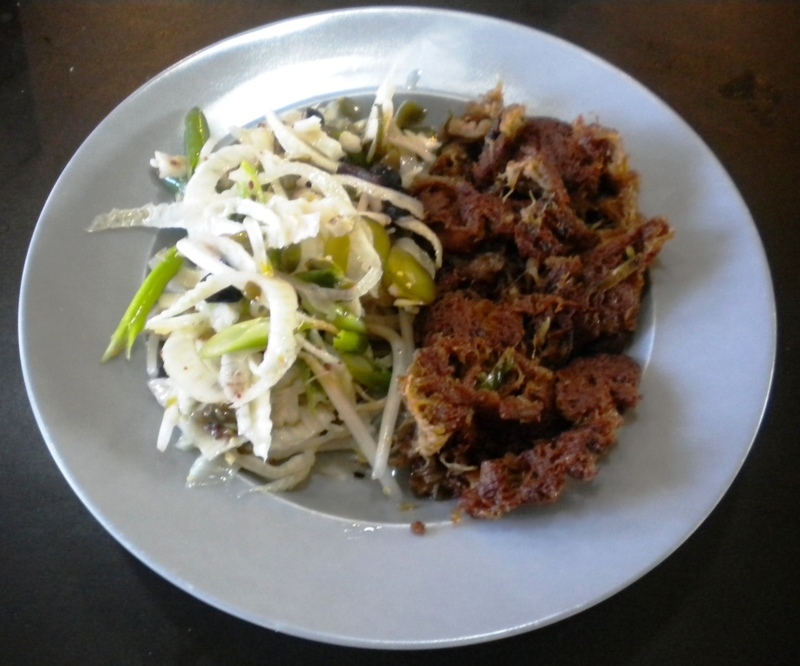 The aniseed flavours of fennel in this salad work particularly well with fatty meats such as this Beef floss and Fennel Salad – made using one of our bags of Pulled Beef from the freezer that we fried in a shallow pan until the meat has caramelized and gone crispy. This is literally a 10 minute meal (assuming you have previously spent half a day making the pulled beef). 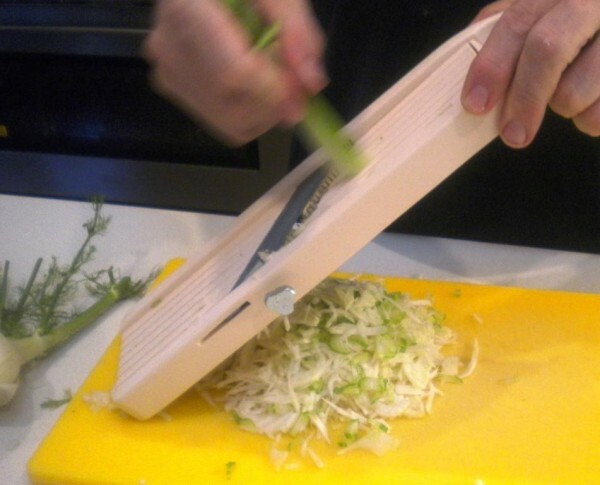 Slice the Fennel on a mandoline, or with a knife to a Julienne. 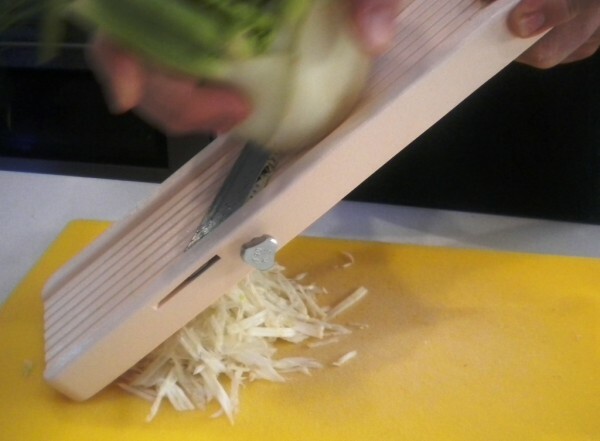 You can use all of the fennel, but I generally skip the last bit of the woody stem and just use it as a handle so I don't have to use a hand guard on the mandoline. 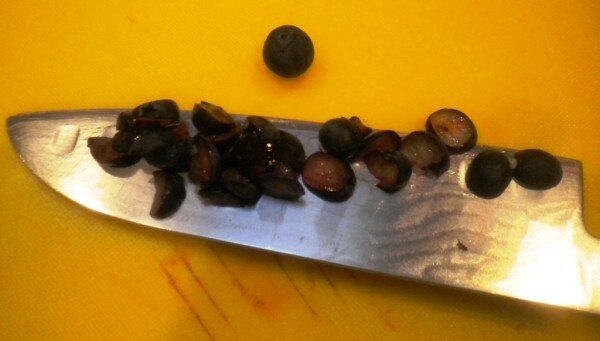 Slice the blueberries finely and distribute them throughout the fennel salad. 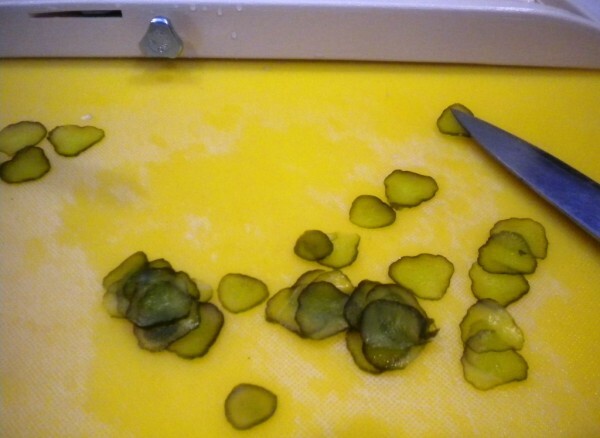 slice the cornichon - i use a mandolin to get an extra fine slice. Add them to the salad. 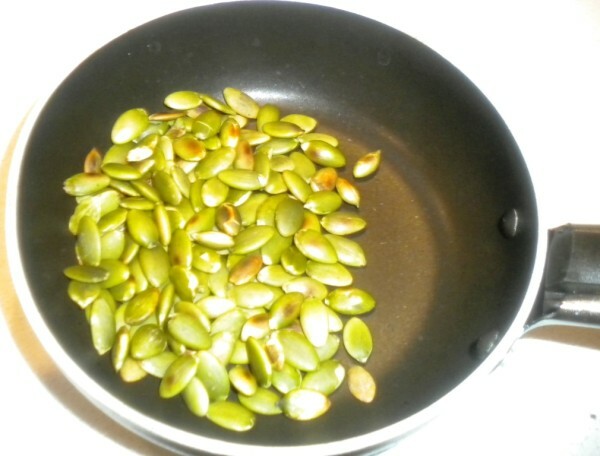 Roast the pepitas in a small frying pan (here I'm using a single fried egg pan) until they just start to make crackings sounds - add them to the salad and distribute well. 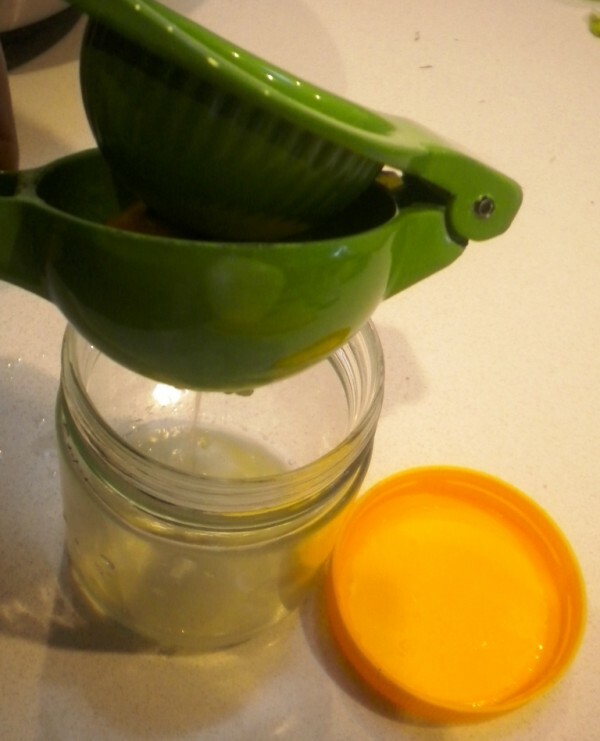 Into a clean jar squeeze the half lemon (I mix most of my salad dressings in old Vegemite jars). 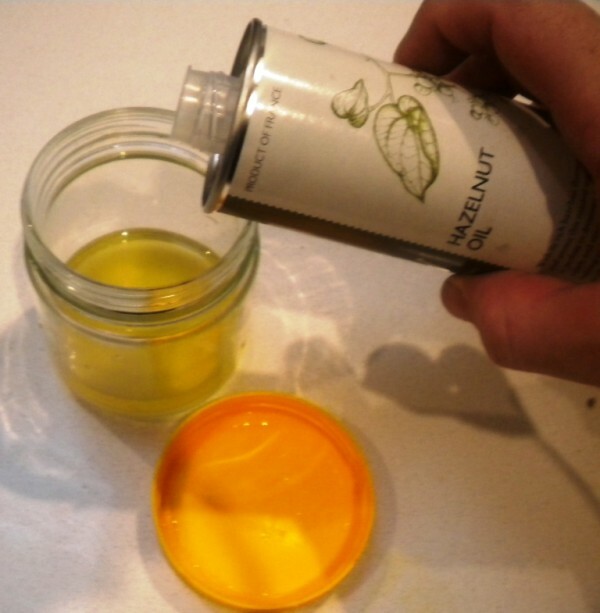 As a rough measure I generally use twice as much Oil to Acid when making my dressings - in this case Hazelnut oil pairs nicely with lemon juice. You can also use other nut oils like Almond, Macadamia or Walnut oil. 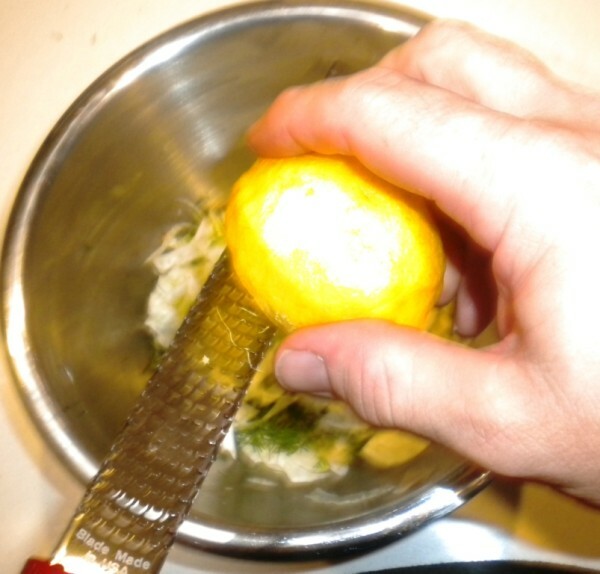 This step is optional and a bit controversial - I add artificial sweetener to temper the sharpness of the lemon. 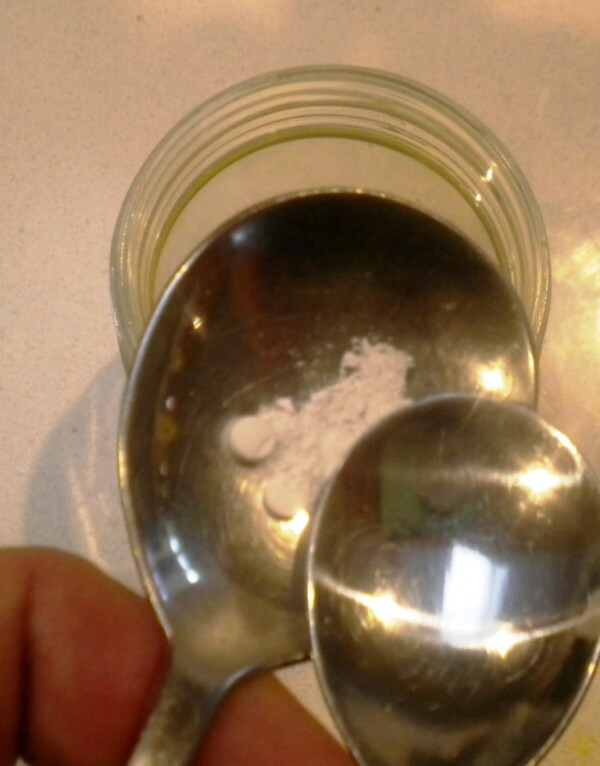 Here I am just pulverizing a tab of Splenda between two spoons. I'll also add a tsp of seeded mustard to the dressing and then screw on the lid and shake the dressing until the oils are emulsified. Dress the Salad, and toss it well to combine. Ok. Yeah. Yum. I made this tonight. It was as good as it sounded. And so easy! This was great! Love the show guys. How can I gain access to the private keto ninja group? We have a FB group at fb.2keto.com you are more than welcome to join. The keto ninjas are a smaller group that we don’t want to overwhelm with our listeners. 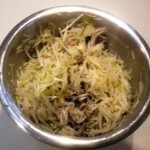 Fennel bulb tastes scrumptious with figs. I paired chopped fennel bulb with thinnest slices of dried fig and found one of my favorite combinations. A little mayo and it’s salad.